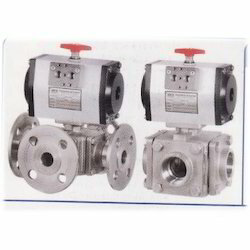 Our range of products include pneumatic rotary actuator. With the help of professionals, we have been able to offer our clients a qualitative range of Pneumatic Rotary Actuator. This rotary actuator is ideal for ball valve, dampers, butterfly valves and indexing mechanisms. Our offered rotary actuator remains in great demands across the industry due to its excellent quality. We manufacture this rotary actuator using sophisticated techniques and high quality material in adherence with the set norms of industry. Looking for Rotary Actuator ?